Every time I publish a blogging tips post, it is satisfying to hear how many people appreciate the tips. Usually it’s advice that a lot of fellow bloggers can put directly into action. I realize that a lot of bloggers get started with very little knowledge about the technical side of blogging and website marketing. That’s pretty understandable since we all come from different walks of life. In my case I happen to have a ton of experience managing websites and doing website marketing. So I’m happy to share any advice I can, knowing it’s bound to help the community. This week the blogging tip isn’t specific changes you can make on your blog. Instead it’s more general commentary about the approach you should be taking with your blog. In life there are certain things that really should be done a certain way. After many years of practice someone else has found the best way to do those things. In cases like that, it isn’t necessary to reinvent the wheel. Then there are things where there is no set blueprint that you need to follow. You are free to do what works for you and sometimes just wing it. Blogging is one of those things. There may be strategies that have worked well for others, but how you approach it is completely up to you. Blog Theme: Choosing a theme for your blog is obviously a pretty big decision. At a glance, readers will get a very strong opinion of your blog based on physical appearances. Yes people are naturally vain. That doesn’t mean you have to invest in an expensive custom design though. A custom design may give you a unique look, but many blogs grow quite well using a free theme. Ultimately quality content can overcome a weak theme or one that isn’t unique. That being said, a custom theme may help in getting people to take your blog more seriously. Regardless which approach you take, feel free to express yourself with your blog theme. Blog Name: In the past, using keywords in your domain name was quite important. Just by including keywords in your domain name, you could get search engine rankings much easier. After excessive spam, that benefit has been scaled back. These days it’s more important to have a name that is memorable and can be branded. With a blog, most of your search engine traffic will go directly to specific posts anyway. So don’t be afraid of getting creative with your blog’s name. Posting Schedule: There is advice out there that you should be posting X times per week and scheduling your posts to go out at certain times of day. Some of that theory is completely valid, but when your blog is still fairly young, that stuff doesn’t matter as much as they claim it does. Post on the schedule that personally works best for you. I still schedule my posts for 9AM EST, but some may find that avoiding the crowd may work better for them. If you are looking for quicker growth, this is an area that you might want to experiment with. Blog Commenting: When trying to get the word out about your blog, commenting on other blogs is a great strategy. There’s nothing that says you have to comment on certain blogs or do a specific amount of comments each week. Some take the approach of trying to get on as many blogs as possible every day while others focus on just a small group of blogs. Either approach can work well, but you can decide how you want to handle it. Of course, the more time you can dedicate to commenting, the faster your blog can grow and the more connections you build. Social Media: Most social media experts will claim that you need to be extremely personable on social media sites. They say it needs to be used to build direct connections with readers. That may be the ideal use, but it is not the only use. Bloggers who are too busy to dedicate long hours to chatting on social media can instead get a lot of benefits with a more automated approach. It might not be social media’s original intention, but it is how a large percentage of people do use it. Even just signing up for profiles and linking to them from your blogs has a small amount of benefit. Blog Monetization: I’m sure most of you have realized that a blog can be fairly profitable. How you make money from your blog is up to you though. Some bloggers will try to squeeze a bit of money out of networks such as Google AdSense, installing those ad widgets as soon as possible. In my opinion the money you get from AdSense isn’t a good deal considering the effect it has on your blog’s appearance. Others resort to selling direct advertisements which can also lower the quality of your blog. Then there are the ones who heavily rely on affiliate promotion, often getting overly aggressive with how much they promote. The especially smart ones develop some type of product or service to sell via their blog. The route you take is again up to you. A mix of monetization methods is probably best, but maybe you want to focus on certain areas that you think work well for you. Search Engine Optimization: This area may have a little less flexibility. Some things are bound to hold you back unless you jump through Google’s hoops. When building links to your blog though, there are so many different strategies you can employ. With many things in business, diversification is usually best, but you can focus more on areas of your choice. If you chose to, you could even completely ignore SEO and rely on building direct traffic sources. Writing Style: With so many different blog writing styles out there, you obviously don’t need to copy anyone else’s formula. Some people may insist that a blog needs to be super personal so that people can relate to you. That does help people connect with you, but then there are also a ton of successful blogs that don’t share any personal info or stories. Just try to make your writing interesting so that readers want to come back. These are just the main areas that you make your own blogging rules, but really, every single decision is up to you. People may claim you’re doing things wrong, but that usually just means that person assumes another way is somehow better. Those assumptions are not always correct and don’t necessarily take everything into consideration. Those general rules often just limit creativity and prevent people from expressing themselves how they really want to. Great post again Jeremy! And thanks for the Twitter mention as well. I’ve tried to use a mix of what works for others as well as what works for me. I’d say at most I am 50/50, while probably being focused more on doing what works for me. In the end, you have to go with what works for you and what makes life easier for you in terms of blogging. Sounds like a good balance to me. Following the crowd in some respects make sense, but you also have to do what feels right for you. The key is that you don’t just accept things as clearcut rules that absolutely must be followed. Take the time to think whether that path necessarily makes sense for you. I always enjoy your tips! Love these as well. I’m really trying to work on SEO and everything else, I have so much to learn. I think you’re making progress on there considering you jumped up to PR4. From there it’s just a matter of having posts optimized for keywords and building a lot more backlinks. The only reason why I started blogging was to target a demographic that I felt was under-represented in Personal Finance blogs and have stuck to only addressing that demographic. Also, since I remember reading pf blogs before I was a blogger, I try to target those folks as well. I write for readers, not bloggers. I would prefer to influence someone to create a budget or track their spending for the first time, than to discuss budgets with other bloggers on my blog. Just my preference! Lots of other blogs out there for that! I’ve found that keeping your audience in mind and having unique content really helps differentiate yourself! In my case I have decided to write for bloggers too at this point. Since a good percentage of my traffic is other bloggers, it makes sense to write for them early on. As my blog grows I’ll focus more on personal finance topics. Writing for your readers is quite important and should influence the different decisions you make with your blog. Nice post Jeremy and thanks for the Twitter mention. Sometimes you can get caught up in trying to mimic the successful bloggers that you just put yourself into a bigger group of competitors. When blogging, I try to write in my style and target who I want. SEO is important, but it is always going to be slow going and constant. Right now, I am working on networking and building up my base with content. Good point about having more competitors if you mimic other bloggers. When you are able to truly set yourself apart you have a lot more to offer readers. Then again, if you do marketing well, you can use a similar approach as others and still do very well. It’s really up to you. Thank you for the mention Jeremy, I enjoy your blogging tips as usual. I am trying a bit of everything at the moment, to define what is right for me. Not planning to get rich on blogging anytime soon so I have the luxury do stick to what I am happy with. Making yourself happy is pretty important. If you are taking an approach that you don’t actually like, it is a lot tougher to stay motivated long term. Sometimes it does take a bit of trial and error to really see which direction you want to head with different aspects of your blog. If something doesn’t sit right with me I would go against it although I am still learning. Sometimes the benefits aren’t worth the internal conflict. Yep, you have to stay true to what you believe the right approach is. With some of those things you might change your mind about down the road though. So if you are unsure about something it may be worth thinking about it some more. Another great post! Thanks for reminding people about the personality side of blogging! Every blog is different which is why we read them! I also hate the way Adsense makes blogs look but understand why people do it. I don’t understand why people still bother with adsense, especially once they realize how much more a direct advertiser would pay for those spots. I don’t have much choice about it since the adsense folks don’t like me, but if I was still allowed to run their ads I don’t think I would even bother other than maybe embedded within posts. At the top of pages or in the sidebar seems a waste. Great info here, as there are a ton of things that all bloggers *should* if they want to grow their blog, but *how* they do it is completely up to them. My blog approach is limited to my available hours in the day and is filtered through what I believe and agree with. But I do love the fact that I own it and can take it any direction I choose. Mostly, I love helping people and that’s really what drives me to continue. Generic and cheesy, I know, but it has been very rewarding and I hope to do on a bigger and bigger scale as time goes on. For sure…available time does play a big role in what direction you take with a blog. There is no point in forcing your blog into a specific mold if you just don’t have the available hours to do that properly. Having freedom with a blog is pretty cool. It lets me get away with things like writing about blogging tips once a week on a finance blog. Being able to help people is pretty cool too. Some new bloggers do get a little overwhelmed thinking things need to be done a certain way. They don’t stop to realize that they are really in full control of their blog. They are free to do whatever they want. I’m definitely fresh in to the blogging game so I find that I’m quite easily convinced to follow the styles and techniques that I see around me. Thanks for the reminders to stay on my own path. I’m going to try and remind myself of who I am writing for every time I write a new post. That’s not to say that you shouldn’t copy some things from other bloggers. Some of the strategies they use have sound logic behind them. So feel free to try some of those strategies but don’t feel trapped into using them if you don’t think they are right for your blog for whatever reason. I would say that I’ve trended towards doing what’s proven to be successful with other bloggers. I maintain a fairly standard posting schedule and have posts go live by 5:30 AM CST. I may be posting more often here in the near future with the addition of the staff writers, but we’ll see how things go. I wish I could be more personable with the social media accounts but it’s just not something I have the time for. Maybe as the readership and interaction increase, that will probably change. I do think site themes and design are extremely important. If you don’t have a good look, then you really need great content; on the flip side I believe a very aesthetically pleasing sight can make up for some poor content (to readers at least). Perhaps when you start using staff writers, you can keep the same posting schedule but start dedicating more time to social media. I don’t do enough on that front either. I also tend to follow what is working on other blogs somewhat, but I also like to think things through and go with what is my gut feeling. Like maybe it isn’t good to alienate my other readers by having a weekly blogging tips series, but in my gut I feel the long term benefits will make up for it. I previously went against the grain and stubbornly left my blog on Blogger. I since have seen the light, quit that blog, moved to WordPress, and started a few other sites. Good advice here about sticking to what works best for you. Good general advice for life as well. I’ve done that kind of commenting strategy in the past, but eventually started focus more on specific blogs. It’s good to get your name out there and get exposure from a wide range of blogs though. The move from blogger is definitely the right. It seems that every blogger ends up leaving that platform when they want to get serious. You are just too limited over there. Thanks again, Jeremy. You always have awesome advice. Actually, I am forwarding this article to my brother as he is just getting started on his blogging journey. I’m sure you’ll be an awesome mentor for him. Hopefully he doesn’t keep you too busy with random questions. I agree thast one of the great things about being a blogger is that you get to choose your own path and do what works best for you, your site and your style. What works for me may not work for the next person. It’s a process of doing your research, learning from others and then taking what you’ve learned and applying the things that apply to you and your site. Great tips! Thanks Peter. Blogging really is an art form. It’s not so cut and dry about what specific approach you take. It’s pretty much impossible for 2 blogs to take the exact same path. As you come to each fork in the road, you need to decide what path is the best to take for your blog. That’s not always the same path others have chosen. I think my biggest challenge is the SEO/backlinks. I do my best to comment on other blogs, like yours, where I enjoy the content and engage on Twitter. However, my time is becoming limited and while I use Google Reader to keep up with the blogs and create lists on Twitter to keep up, I still find I’m not doing enough. I know I don’t want to sell advertisements at this time. Any tips on the SEO/backlinks challenge? You can email me if you need to. Well depending on your budget and long term plans with the blog, it might make sense to outsource some link building. I’m currently looking to hire someone on elance.com for that very purpose. Keep in mind that commenting links are some of the weaker links you can get. Things like link round ups and carnivals produce better links. Also a lot comes down to how efficient you can make your entire blogging process. There is plenty that can be automated if you try. Again, some outsourcing might be necessary to properly automate some things. You’re always welcome to e-mail if you have more questions about that. I love the flexibility because you can do what you want but that also means you might not know what is working or not working since there is no set standard to judge by. I just have to be myself and if it doesn’t hold your interest, you don’t have to read it. Excellent point about that flexibility also being a handicap. When people are all doing things differently, it is tough to tell who is doing it best. It might come down to trial and error. 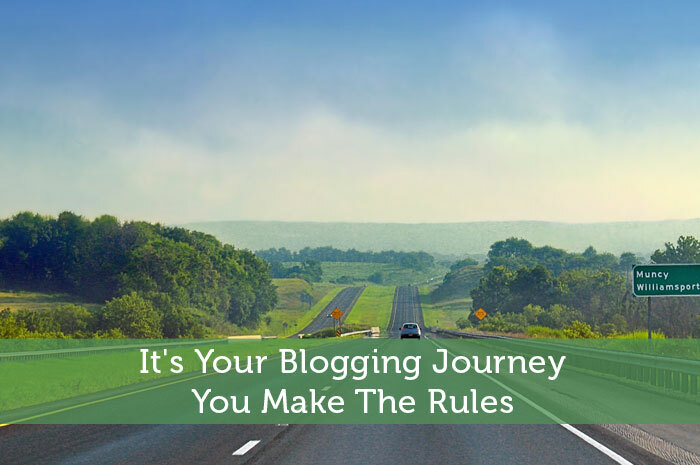 You can also contact bloggers directly to ask why they take a specific route. That can sometimes save wasted time. As for holding someone’s interest, it is tough to keep everyone happy with a certain writing style and content focus. You can only work on improving your writing over time and do enough marketing to hopefully retain enough readers. Sounds like we are on a similar track. I post the same amount…if you include all the guest posts. I’ve also fell out of the habit of commenting, but I’m not ready to jump back into that yet. I feel I need to catch up on so much other stuff before spending time in that area. The same goes for guest posting. I’d love to get on that, but now just isn’t the right time. I agree with the idea here, that there really is no rule for how to do it. When I got started it took awhile to get going because I knew nothing about websites or anything at all like that. I was building from the ground up so I tried to do everything “right”. But now that I’m here and established somewhat, I have started to get into what I like doing, instead of what might be recommended. I don’t know. LIke you said, there aren’t rules, so I can do whatever the heck I want! And it’s one of the only areas in life where I actually can do what I want, lol. lol…funny stuff. I’d think with your blog you’d have even more freedom since there aren’t a whole lot of blogs in that niche. So rather than following others, there would be more necessity to do your own thing. I like the approach you take and I’m sure it’ll just keep building as you keep it going. I think you are probably one of the few finance bloggers who read a book about blogging before starting out. It seems like most others just wing it and learn as they go. Learning a lot beforehand probably played a big role in your quick early growth. I can’t say I’ve read any books about blogging or even about website marketing. With stuff like that the is a lot of great free information online. I’m looking forward to see how your new theme looks. Since your blog is already doing great, a quality theme should get the momentum going even stronger. lol that’s a good reason to like a post 🙂 I think you do a great job with the angle you take…even if you did call me sassy on your blog haha. Glad to hear I’m helping out Cat. I haven’t heard from you in a while. So you must be figuring things out. Feel free to reach out to me anytime. I thought this was a really good post! As a relative newcomer I’ve decided to mostly do what feels right for me while following a certain structure of 3-4 posts per week on specific days and work hard on producing solid and personalized content. I looked at my Alexa ranking for the first time since I started a month ago…I was pleasantly surprised at the number and I’ll work to lower it even more by the end of month 2! Looks like you’re off to a good start in your first month. Your blog looks great, especially the worm on the hook lol. Cool feature. Posting 3-4 times per week and focusing on quality, personalized content sounds like a strong plan. Now the trick is to find time to also do enough marketing to attract a solid following. I know exactly what your going through. After my first year of blogging I was only bringing in 30 visits a day and was ready to hang it up. Then a few friends offered some suggestions for me to try and a year later I was bringing in over 200 visitors a day. Boo Yah! Hang in there it’ll come. Prepaying for 2 years hosting sure is one way to force yourself to think long term. You do have to make sure you avoid burn out and do things at your own pace. The money can take some time to come. You just have to work hard at building up your stats and the money will come eventually. Chris let me know if you want any tips to work towards getting that traffic even higher. Great article Jeremy. I’m so glad you let the 800 pound gorilla out of the cage. I think some bloggers think they have to be either one way or the other but that just isn’t true. For me I use to think SEO and building links was the only way but over the last year I’ve learned that it’s the solid connections you make with other that trumps the one off back link. Anybody can get a back link these days and Google knows that.but I think what they are really looking for is whether a site has genuine connections with others and if they don’t see that with things like social signals and comments it’s pretty obvious to them that a site is just trying to game Google. Even if Google doesn’t work that way now, it makes sense for them to be looking for more legit social signals and links. Repeat links would seem like a stronger indicator than one time links, especially since most spammers just try to get a single link from a ton of sites. I do care a lot about SEO, but I don’t want to be too reliant on Google long term. They have just proven to be too unreliable. Instead I’d like to build up multiple traffic sources. I got tired of reading and following so many different opinions and differing advice on how to blog, I decided to do my own thing! When I want to post – I”ll post; regardless of time or day. I know I’m not doing everything right but I’ve accepted this is a marathon, not a sprint. No problem Lou. All those differing opinions sure do make it tough to figure out which path is right. All those minute decisions might matter more when your blog is more popular, but in the first year or two you really have so much more flexibility. By doing things your own way you learn more and will find it easier to keep going long term. Great tips as always. I try to listen to others about what might make my blog successful now that I’m trying to monetize, after all, what do I know? But I’ve never compromised on what I want to blog about in order to attract readers. That’s been all mine, and I’d love to spend more time on social media like twitter to interact more, but I literally just don’t have the time and it causes major distractions! Things like monetize does make sense to learn from others. With something so important others have taken the time to do so much testing to figure out what works and what doesn’t. Then there are other things that are just too difficult to properly test. So some common rule of thumb gets passed down and many people don’t question the validity of that advice. Don’t worry too much about not having time for twitter. Some people excel on social media and others are better off focusing their time on making their blog as good as it can be. Either approach works. I actually have a custom theme for my food blog, and it has given me quite a number of headaches. A custom child theme for a popular, well supported theme such as Twenty Eleven or Thesis is probably a better way to go. That’s the route I went with my blog…a custom child theme for Twenty Eleven. I don’t know the technicalities behind it, but it seemed to be easier for my designer friend to setup. I could see how a completely custom theme might not be as optimized as a child theme though. Having a custom look helps, but maybe not worth it if it causes too many headaches. Will highlight this week Jeremy. Thanks Mark. A lot of bloggers do become a slave to their blog, myself included. Once it gets rolling it’s like you can’t step back without losing that momentum. Things don’t need to progress a mile a minute though. You control how quickly things grow and what approach you take. I really like these tips you’ve been posting lately – PLEASE keep them coming! Will do James. I’ve still got some stuff to pass on to fellow bloggers. Maybe check out older posts in this series in the meantime. I agree with James, these tips are super helpful for those of us that are pretty new to blogging. If you don’t mind me asking – Do you have any good tips for monetizing your blog? You tell us about lots of things not to do, but don’t really say what you think is a good strategy. Yeah I should cover some monetization topics. The problem there is that one of the main blog monetization topics is frowned upon by Google. So it’s a little tricky to discuss openly. I did do a post about affiliate promotion, but maybe I’ll do a more in depth post. A lot of bloggers just e-mail me directly with questions like that. So feel free to do the same. As usual another good blogging tips post. I often get stuck in my own world, doing my own thing on my blog. I love these posts because it reminds me that there is so much more I could be doing on a regular basis to improve it. Doing your own thing is great, but the best strategy is probably to also mix that with some of what has been working for others. Then you can get the best of both worlds. 1. Search engine results is a reliable source of traffic. Make sure that you are friends with Google. Instead of chasing the occasional traffic surges, work on SEO instead because SEO will give you better ranking in search results. 2. I discovered two great and useful websites that regularly give me traffic. I continue to stick with those websites. 3. Develop relationships with fellow bloggers and guest writers. Whether it’s romantic or pure friendship is up to you. If you make friends with them they might even turn out to be your number one promoter of your blog. Some trial and error is pretty important. I wouldn’t call search engine traffic very reliable though. Overnight they can change their algorithm and you could lose most of your traffic. I’ve experienced that numerous times. It is a strong source of traffic that really shouldn’t be ignored though. Funny comment about potential romantic relationships with fellow bloggers. I’m sure people have developed pretty strong relationships that way. I know I’ve developed a lot of strong connections with fellow bloggers and it’s helped a ton with growing my blog. Thanks for the mention Jeremy. I completely agree with this post, everyone does things differently. I think there’s so much conflicting advice out there that trying to please everyone (Google, Social Media Readers, other bloggers etc.) is almost impossible. Nowadays I just do my own thing and hope the blog continues to steadily progress. If not, it’s been a fun journey anyway! It really is more than a full time job to try to please everyone. That or you need multiple people working on your blog. So it’s best if you just focus on areas that you feel are important. As long as you make some kind of progress you’re gradually building up something substantial. Thinking of a blog name was the hardest part for us! There were a lot of suggestions and impromptu surveying among our friends. That step can be quite challenging, especially considering how many good names are already taken. Plus it’s so important since you’re stuck with that name long term. You don’t exactly want to be stuck with something that doesn’t suit your long term vision. Thanks for sharing your knowledge, I have so much to learn. I hope this series helps you out Maria. The technical end is very difficult for people to pick up early on. It’s so much easier just focusing on writing and interacting with fellow bloggers. The technical side shouldn’t be ignored if you want your blog to grow though. It may sound a bit silly, but there are so many people out there saying that you must do certain things with your blog. So many of those things just come down to personal preference.